The staff here at RG are pleased to present the next iteration of our Modpack, codename Orion. 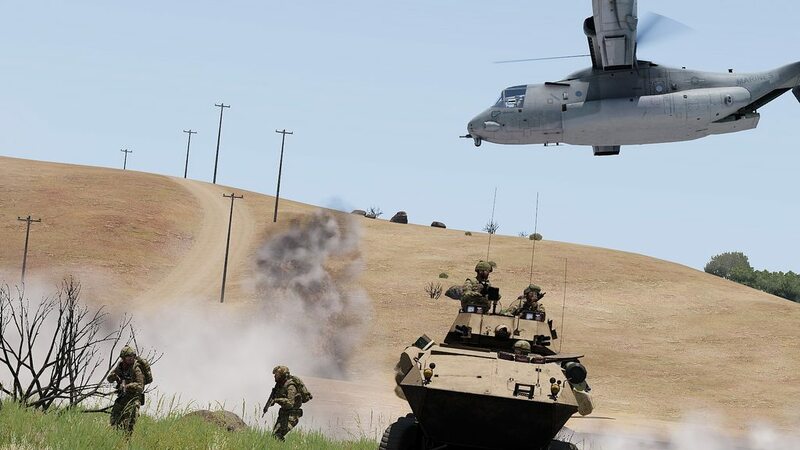 The ultimate aim of this update was to provide mission makers with the tools in which to provide more in depth and immersive missions, utilising a broader array of enemy factions and equipment. On top of this, we will be adopting 'A3Sync' for the management of the RG Essentials pack, allowing us to provide micro updates to keep some of our mods up to date. If you've never used A3Sync before don't worry, a separate thread will be released soon to show you how to set it up. Some minor tweaks to loadouts and crates have been made, as well as some gear being replaced allowing us to remove some mods altogether. We have also adopted a couple of new maps and removed some older ones we felt were underused or didn't add enough variety to the pack. All in all, we hope that this update will bring in some more variety, opportunities and experiences to our missions. Any problems you have should be directed to Ptero or another member of the technical team. Although I'm the one asking for things to be done, these updates could not be done without the help and dedication of tech staff. A huge thank you to Ptero for dealing with my constant demands for more and putting the pack together, Icarus for sorting the templates, and Riott for making sense of the Matrix in the back end and keeping on top of things. A big thank you to the section leads for the discussions, testing and brainstorming that put these updates into motion. For me, this update is primarily 'opfor focused'. On the surface, not much will have changed for many of you, but we hope that the missions will show why we wanted to add in things like CUP. We may get a few new toys to play with, but that's more by luck than design.